The European vegetable oil application industry has shown interesting profitability in recent years, averaging 8 percent and thus exceeding the averages of 4 percent seen in the oilseed crushing industry worldwide. Most EU industry participants have also reported growth in their sales in the past decade, Rabobank says in the recently published report ‘European Vegetable oil Applications’. Key consumer drivers like sustainability and health impact consumption and are critical for the demand for VOA in the next decade and thus also important for the response of VOA players. However, trends and market drivers are not the same across the various outlets and countries in the EU and also differ per vegetable oil. Palm oil sustainability *) for instance, is a major driver in the European vegetable oil market. EU has become the most important region worldwide for the processing of sustainable palm oil, accounting for at least 38% of global CSPO (Certified Sustainable Palm Oil) sales. Sustainability is impacting all players and stages of the supply chain from palm plantations to plantations, crushing, trading, further processing, retailers, consumers, and institutions. Sourcing certified sustainable palm oil is the way forward in vegetable oil applications. 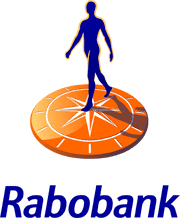 *) Rabobank only finances the sustainable palm oil supply chain and is helping to make sustainable palm oil the norm as soon as possible (please see Rabobank’s Palm Oil Sustainability Policy).